Limited Edition Print: Cairngorm Gold by Deborah Phillips. This Deborah Phillips art print Cairngorm Gold is part of the Global Art Prints exciting range of art prints and limited edition prints. Cairngorm Gold is one of several art prints that have been produced by artist Deborah Phillips. Deborah Phillips art prints and Limited Edition prints supplied by Global Art Prints are produced to a high quality professional standard. The material used for this Deborah Phillips art print has been specially chosen for its qualities and should provide years of enjoyment for art lovers and collectors. 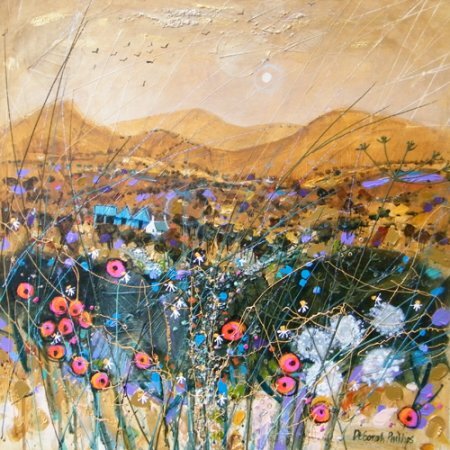 To ensure that this Deborah Phillips art print Cairngorm Gold retains its fine image and condition it is advisable to keep the art print out of bright or direct sunlight and away from damp walls.